2018 Popcorn Forms are updated! Prepared. For Crunchtime. is Northern Star Council’s plan to help your unit have ONE fundraiser this year. Our trained popcorn staff and volunteers will help your unit plan and execute the best and most efficient fundraiser your unit has ever had. This fall’s popcorn sale looks to be the best ever from Trail’s End and Northern Star Council. 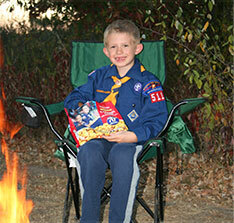 Last year’s success was phenomenal; Scouts earned over 1.2 MILLION dollars for camping experiences and unit activities. Be “Prepared. 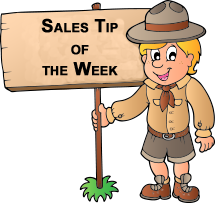 For Crunchtime” this fall by having your unit participate in the sale. Our popcorn experts would be happy to meet with your unit to determine your needs. Already sell another product? 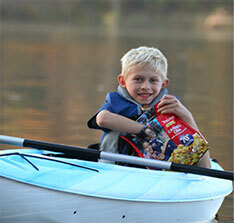 Popcorn is a great addition to your current sale to raise additional dollars. Contact Popcorn Headquarters to see how Popcorn can be a supplement to your current fundraiser, or be the ONLY fundraiser your unit does this year. Best of all, Popcorn sales helps Northern Star Council make camp improvements, keep camp and activity costs low and provide services to volunteers and youth. After you sign up, you will receive information about training opportunities in your area this August. Training will include information on new products, new packaging, new prizes and best off all—opportunities to share experiences and expertise with fellow popcorn chairs. More information is available at www.northernstarbsa.org/popcorn or you can call Jana Nash at 612-261-2403, Bill Anderson-Horecka at 612-261-2405 or E-mail popcorn@nsbsa.org for more information.